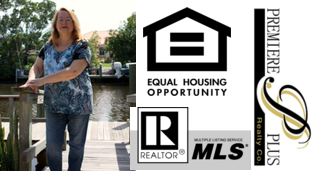 Jany is a licensed Real Estate Broker living in Naples Florida with her husband for over the past 30 years and has raised three wonderful children here. She has seen the phenomenal growth of this charming town and watched it endure all the ups and downs of the fluctuating real estate market. One thing is always constant: Naples is still one of the most desirable places to live, raise a family, or retire in the US. This is mostly due to the pristine white “sugar” sand beaches, warm gulf water, and beautiful weather almost year-round. Additionally, Naples has many fabulous restaurants, 4-star golf courses, and excellent public and private schools to offer. With Jany’s personal relationship with Naples and her real estate expertise, coupled with her background in civil law, Jany prides herself in protecting and catering to the needs of her clients whether they are buying or selling, looking for property investments, or first or second home buyers. This all applies to her International clients as well. She will be there with you every step of the way and will pay attention to every detail to make sure your selling or purchasing experience is as pleasurable and stress-free as possible.